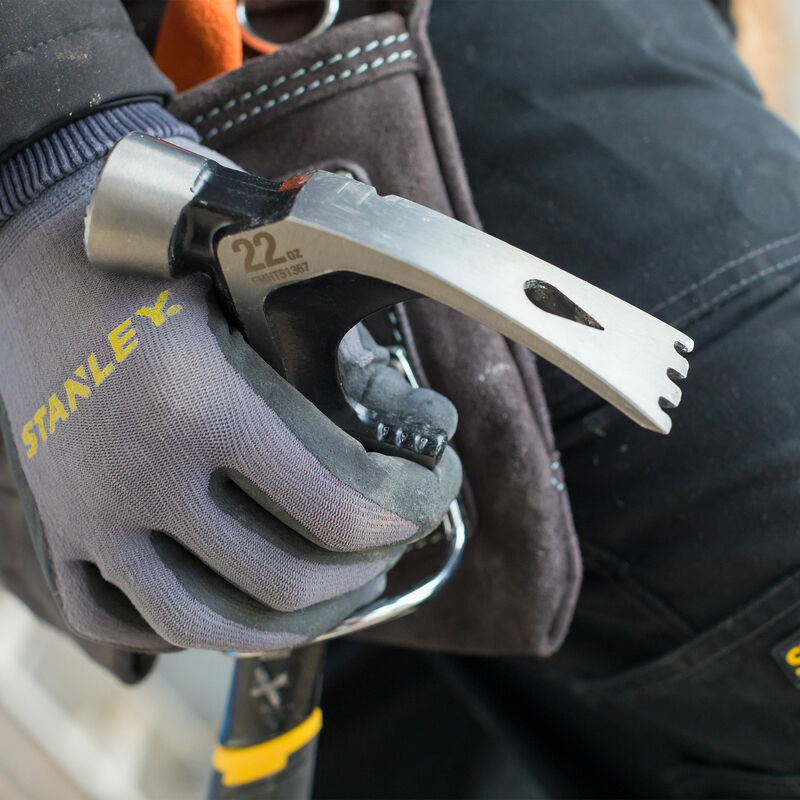 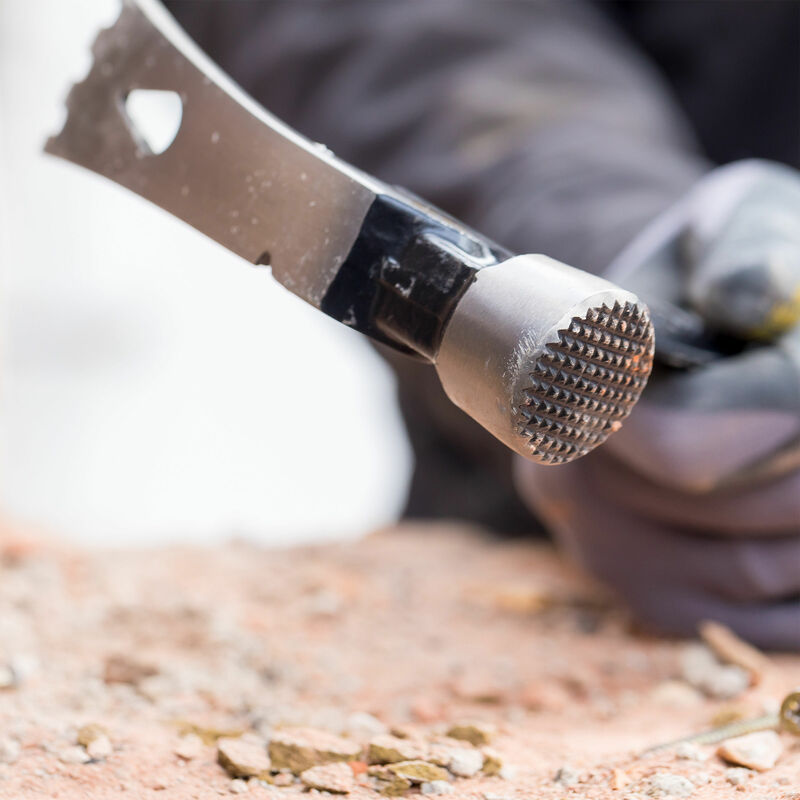 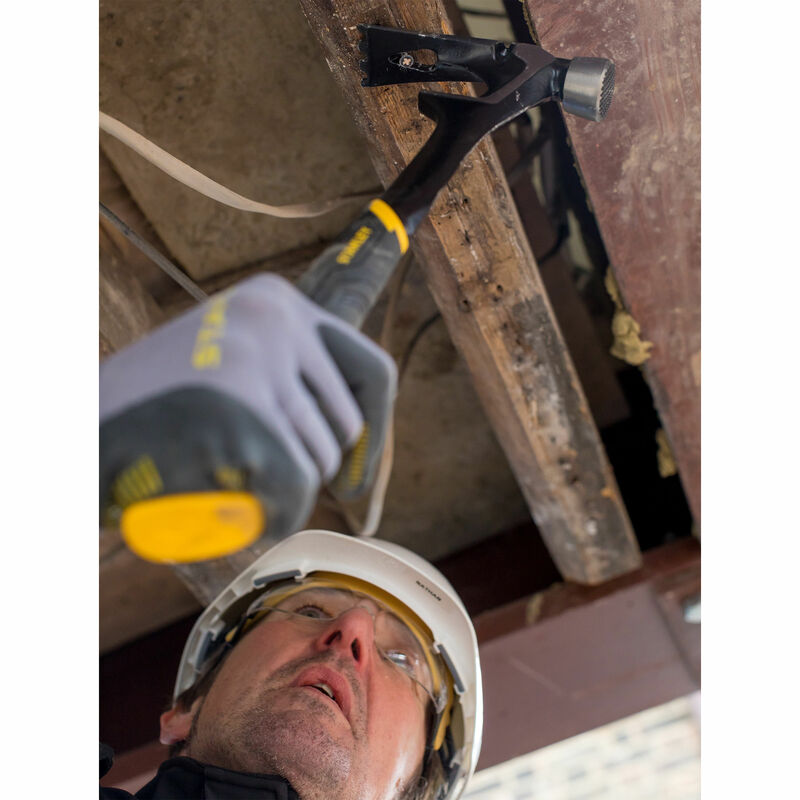 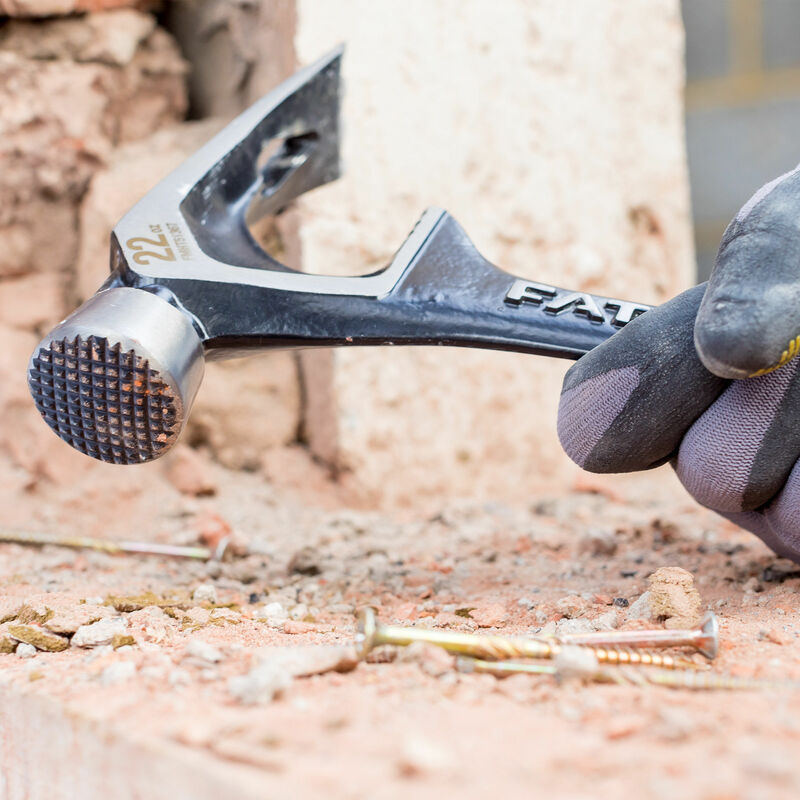 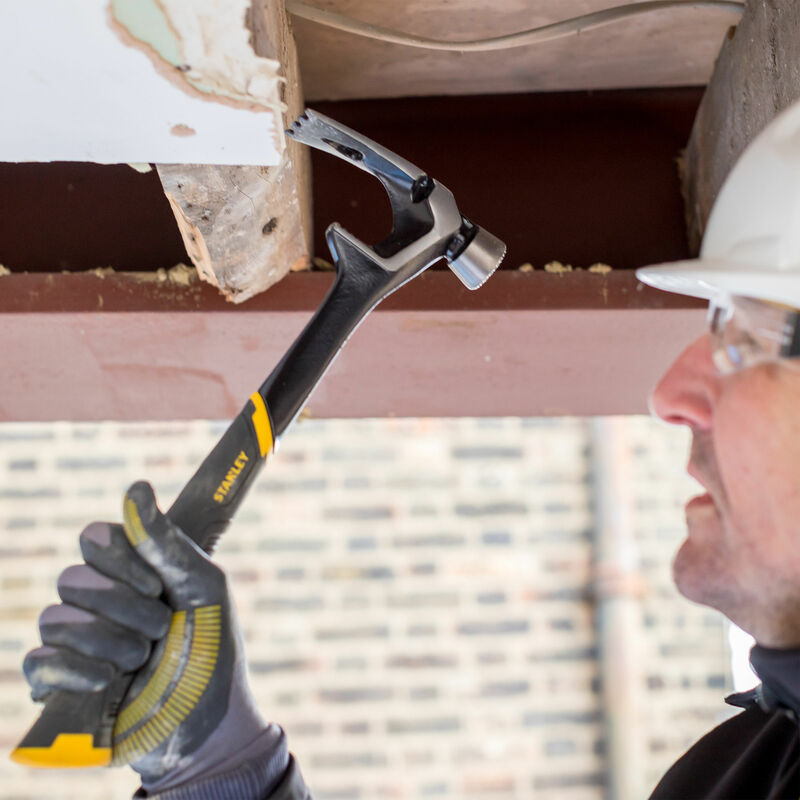 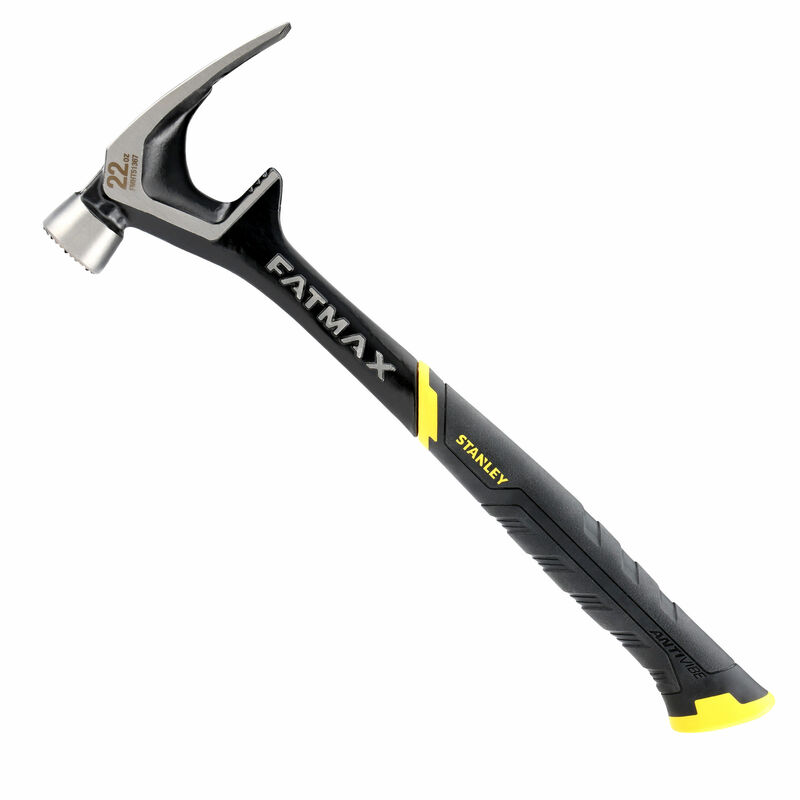 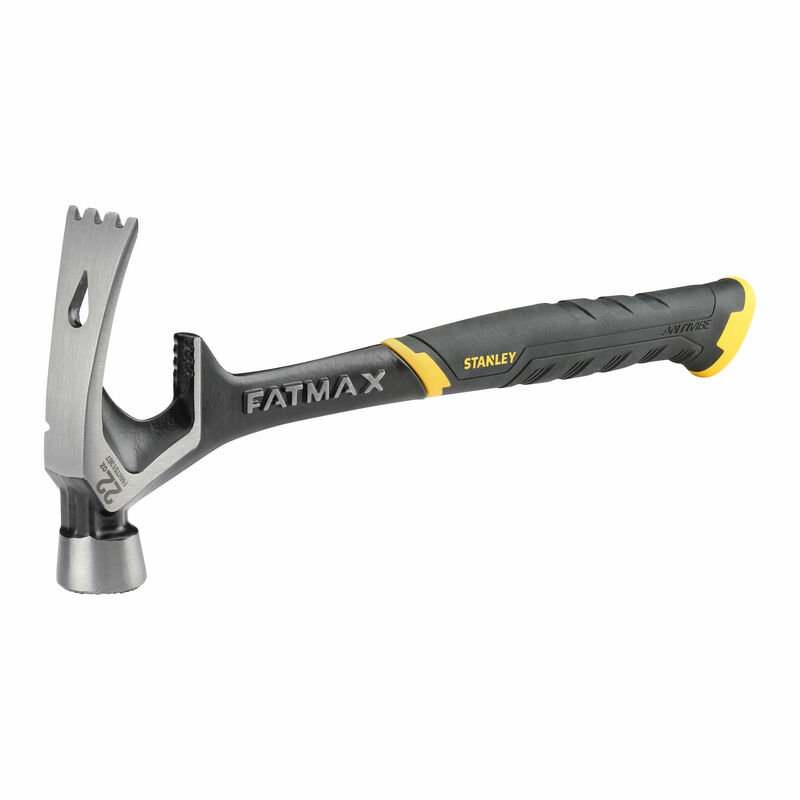 The Stanley FatMax 22oz Demolition Hammer has a one-piece forged construction with a demolition claw head and large knurled anti-slip strike face. 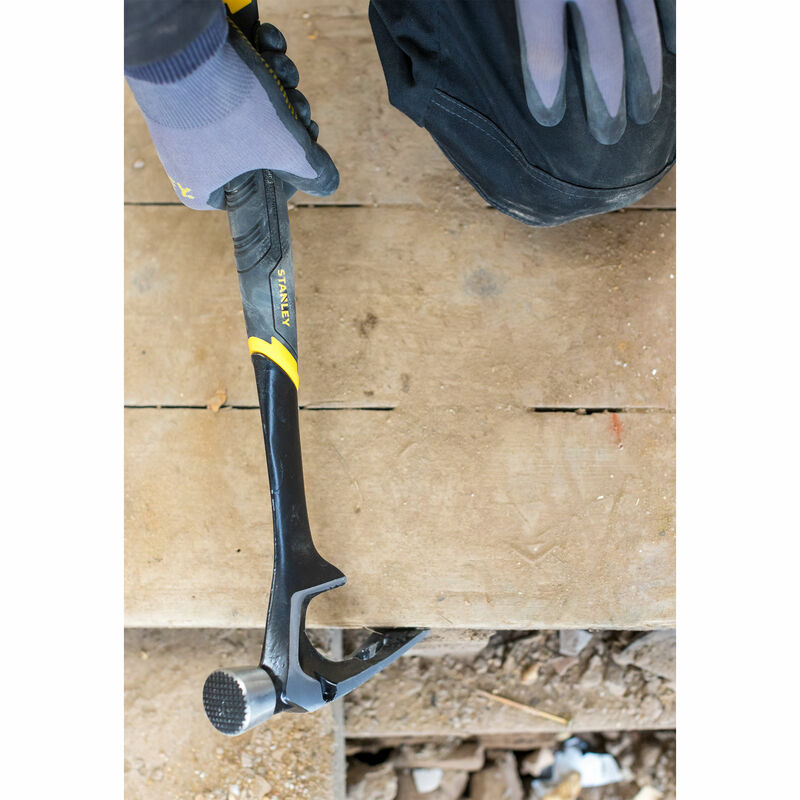 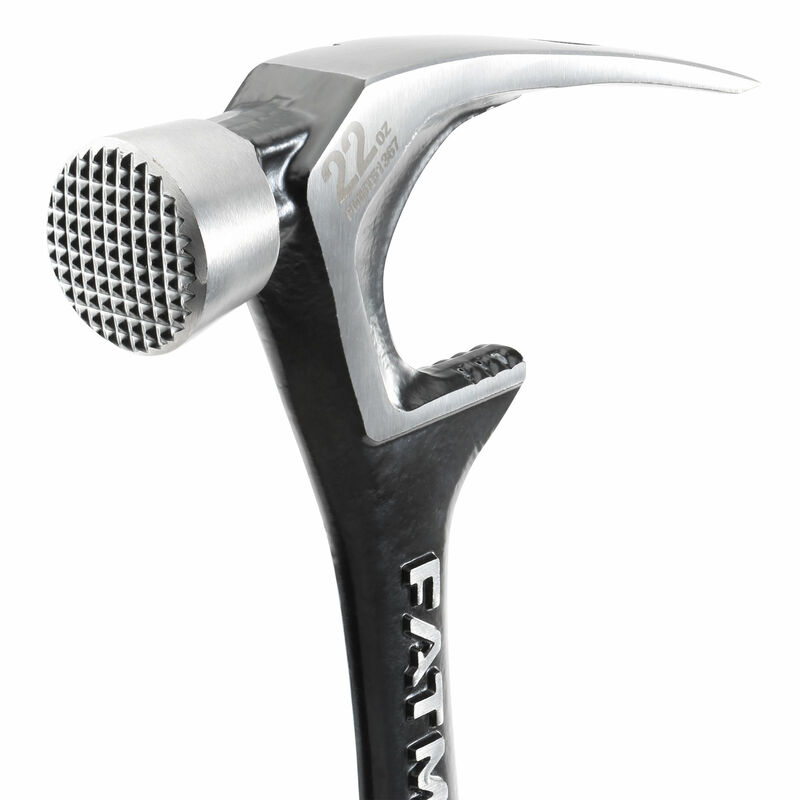 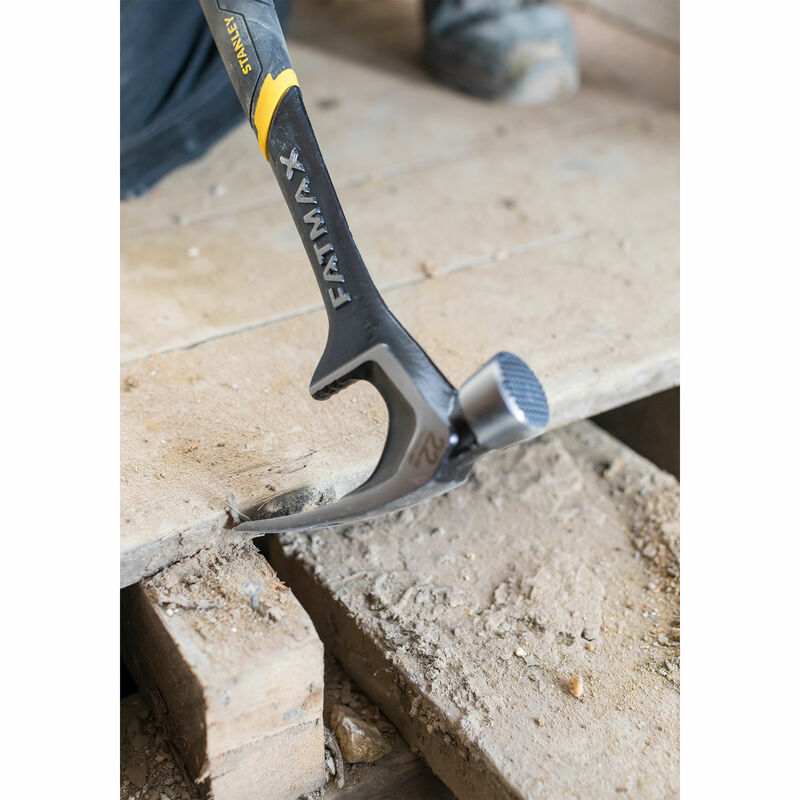 This weighty hammer also has a bevelled nail slot for easy nail pulling and a handle fitted with an ergonomically designed grip for comfort and vibration dampening. 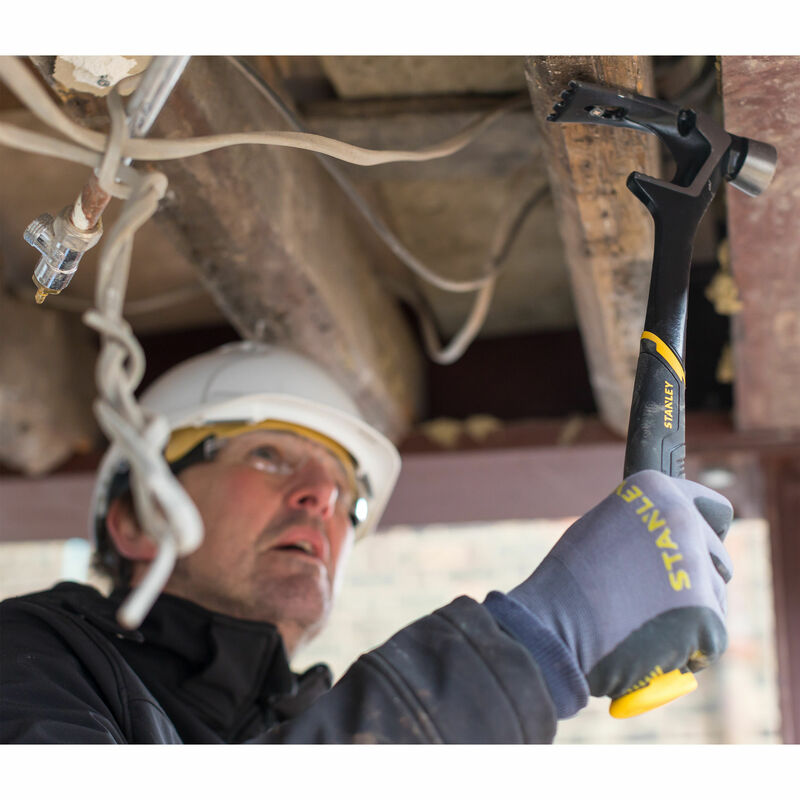 Ideal for prying, pulling and plasterboard grabbing.